There are many different comparison websites online nowadays to help people find the best deal for the service they require. You can compare insurance, energy suppliers and even hotel prices. These websites have been invaluable to help people save money. The Solicitors Regulations Authority have introduced new regulations to make it easier for people to compare the anticipated legal costs for instructing Solicitors in several legal areas including Residential Conveyancing. The idea is to increase transparency in how the legal fees are made up so that people can easily compare different Solicitors for the same service. 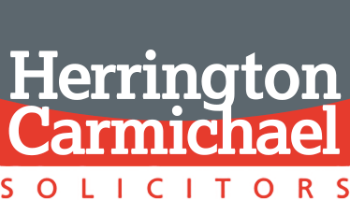 For example, here at Herrington Carmichael LLP, we include in our quotes for acting for someone purchasing a New Build property, the estimated cost of the Developer’s Document fee. This is the fee that the Developer’s charge for preparing the Transfer or Lease of the new property, which is a job normally carried out by the Buyer’s Solicitors, but the Developer prepares the documentation to ensure all the properties within the Development comply with the same restrictions so the properties remain looking as lovely and new. The Developer then passes the cost of their Solicitors preparing the documentation on to the individual Buyer when they purchase the property. We are aware that not all Solicitors place this fee on their quotes, which although makes our legal services seem more expensive, it will be a surprise to the Buyer later on in the transaction when they need to pay this (if it is not included in the original quote). Unfortunately, the Buyer will still inevitably be charged this fee by the Developer regardless of which Solicitor they choose to act for them. The new rules come into force in December 2018 and Solicitors will be required to outline their fees for carrying out this service online, including whether they offer a fixed price for the work or if they will be charging for work on an hourly basis.